After four days, a successful summit? As Pope Francis delivered his closing remarks of the abuse summit, which took place last week in Rome, what should have been a game-changing event came uncomfortably close to a failure. While it was perhaps optimistic to expect concrete measures within hours after the summit’s close, the papal speech should have been much more than a generic overview of abuse across society and (again) a statement that it should not be tolerated in the Church. We know this (and those who don’t have no business holding any position of authority in the Church). Although the insistence on appropriate steps is to be welcomed, the responses, especially those of victims, were understandably angry and disappointed. But the words of Pope Francis will not be all that comes from the summit. A press conference revealed that we can expect a follow-up meeting (which took place on Monday with the heads of Curia departments and the pope), a Motu Proprio on the topic, a ‘rule book’ for bishops and religious superiors to outline the laws and procedures, and last but not least, the conduct we must expect from them in cases of sexual abuse, as well as task forces available to assist dioceses and bishops’ conferences in fighting abuse. But, the real work must take place across the world, in dioceses, parishes, and religious orders and movements, down to every single Catholic everywhere. There is no way that this can be the final word. The work continues. But, as this step has been taken, we can ask, has it been a good step? What has the summit given to the 190 participants, that they can take with them and use to make the Catholic Church a safe environment for everyone? “Smell of the sheep. Knowing their pain and healing their wounds is at the heart of the shepherd’s task“, by Cardinal Luis Antonio Tagle. “Church as field hospital. Taking responsibility“, by Archbishop Charles Scicluna. “The Church in a moment of crisis – Facing conflicts and tensions and acting decisively“, by Cardinal Rubén Salazar Gómez. “Collegiality: sent together“, by Cardinal Oswald Gracias. “Synodality: jointly responsible“, by Cardinal Blase Cupich. “Communio: to work together“, by Dr. Linda Ghisoni. “Openess: sent out into the world“, by Sister Veronica Openibo. “Transparency in a community of believers“, by Cardinal Reinhard Marx. 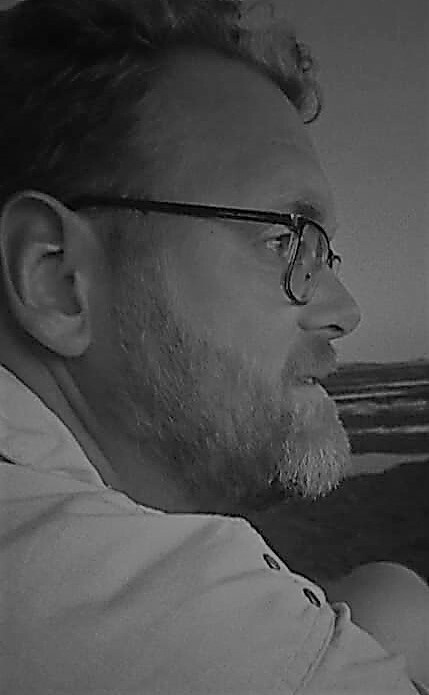 Together, these presentations served as reminders of the correct conduct towards victims, the regulations that are in place or which should be created, but also the consequences that follow when the Church and her members stick their heads in the sand and look out for themselves and their reputation before the wellbeing and rights of the victims. Dr. Alazraki, speaking as a reporter, did not mince words when she said that the media wants to stand next to the Church in her efforts to uncover the truth, but if she tries to hide that truth, the media will be the Church’s greatest enemy. The only claim to success that this summit has is the future. If the words spoken over the past days remain just that, nothing will change. They must lead to action. Abuse, sexual or otherwise, has no place in society, and least of all in the Church. The only response to abuse can be to stand with the victims and the truth. One of the first things that Pope Francis asked of the bishops he has called to Rome to take part in the meeting on the protection of minors in the Church, which opens today, was that they meet with victims. This is something that victims themselves had also generally demanded, as a part of the recognition of their suffering: that the Church see them, hear them, understand what they had gone through. In the Netherlands, the Dutch bishops have made efforts to do so since the crisis broke here some nine years ago. The goals expressed by Pope Francis in the encyclical Laudato si’ are inspiring the bishop of Groningen-Leeuwarden to support an open letter to the Dutch government to stop the extraction of gas around the northern Dutch coast and islands. That coast and most of the islands fall under the Diocese of Groningen-Leeuwarden. Other supporters of the letter include companies, social organisations, local government and the governments of the provinces of Groningen, Drenthe and Fryslân. The Wadden Sea and the islands therein are a World Heritage Site, a Biosphere Reserve and, in the Netherlands, a natural monument. It is an important feeding ground for migrating birds and houses significant populations of seals, fish and shellfish. There are major gas deposits underneath it, as well as under the adjacent land areas, which are in part extracted and supported to a major extent the Dutch growth in welfare in the 20th century. In recent decades the emphasis has shifted to conservation and alternative sources of energy, with wind energy being the chief example. Thursday will see the beginning of perhaps the most charged and certainly most anticipated Vatican event in some time: the bishops’ summit on abuse, in which the presidents of the world’s bishops’ conferences, representatives of religious movements and the heads of a number of curia dicasteries will meet over the course of three days to discuss a unified approach to sexual abuse within the Catholic Church. Expectations about its outcome are high, although they may be too high considering the brief length of the meeting and its focus, not on formulating unfified policies – these often already exist – but on getting every single bishop on the same time. After this week, no bishop should have the excuse of saying he did not know of any abuse or how to deal with it. About the expectations of the summit and its outcome, Bishop van den Hende is catious. Dr. Deetman, shown at left while meeting Pope Francis, believes that the Dutch investigation and program of compensation is indeed an example of how things should be done in other locations as well. “You must be careful, also when it concerns perpetrators. We have had to conclude that someone had been accused, but it later turned out that he or she could impossible have done it. You do damage someone’s reputation and name. And something else: something may be ‘plausible’, but even then there all kinds of degrees of plausibility”. This is a good reminder. In recent headline cases in which prelates have been accussed of knowing of the actions of abusers – I mention a Cardinal Wuerl or Farrell – conclusions are drawn before the facts have been studied. This is not something that should be encouraged, although it is understandable when it comes to such horrible acts. Yesterday the sole Dutch bishop serving abroad was giving his second assignment. 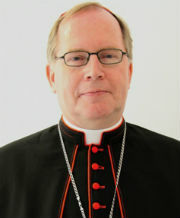 Archbishop Bert van Megen, who comes from the Diocese of Roermond, was appointed as Aostolic Nuncio to Kenya. Since 2014, he had been serving as nuncio to Sudan and Eritrea. In Kenya, he succeeds American Archbishop Daniel Balvo, who was appointed to the Czech Republic last September. 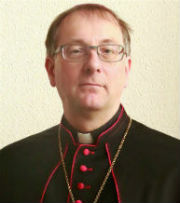 Archbishop van Megen is the fourth nuncio to Kenya, and the ninth high-level Holy See representative in that country overall (there were five Pro-Nuncios before there were Nuncios to Kenya). The post of Apostolic Nuncio to Kenya is sometimes combined with other posts. Archbishop van Megen’s three immediate predecessors also served as Permanent Observer to the United Nations Human Settlement Programme (UN-Habitat), which is headquartered in Nairobi. Additionally, Archbishop Balvo, the previous nuncio, also served as the Apostolic Nuncio to South Sudan. As that position is currently also vacant, it is not unlikely for Archbishop van Megen to soon be appointed to that country as well. One of the most visible tasks for a nuncio is to facilitate to the appointment of new bishops. In most countries the nuncio plays a key role, as he not only communicates the wishes of the other bishops, but also adds his own choices an advice. In Kenya, Archbishop van Megen will have enough work to do in that area. Of the country’s 26 (arch)dioceses, six are vacant, two, including Nairobi, have bishops serving over the age of 75, and three have bishops who will reach that age within the next three years. Apostolic Nuncios are moved to new positions every five years or so, so this new assignment for Archbishop van Megen was in the books. 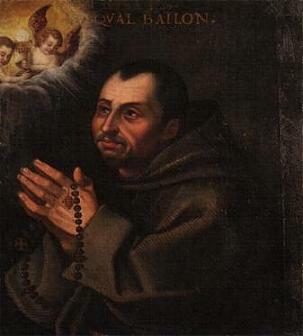 It is rare for a nuncio to be moved over such a short distance, though, but those are the vagaries of chance.